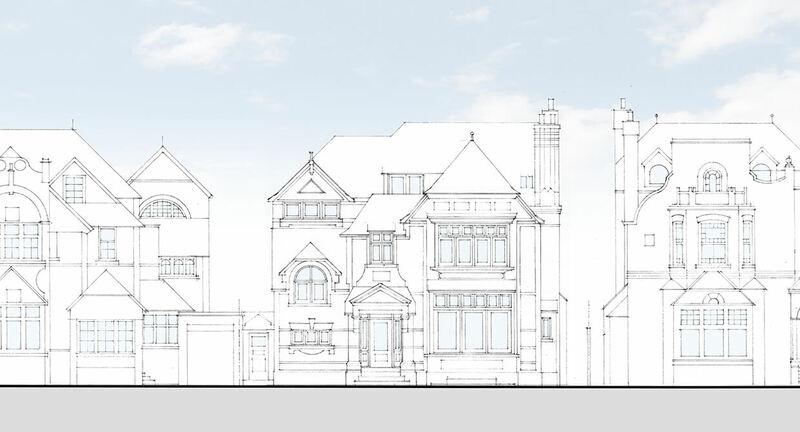 We worked with Wandsworth Conservation officers to design the reinstatement of a large, circa 6,000sqft, detached villa to traditional design after the original house was razed to the ground. The house plot, which overlooks Lower Common South, is visually prominent from near and distant viewpoints. 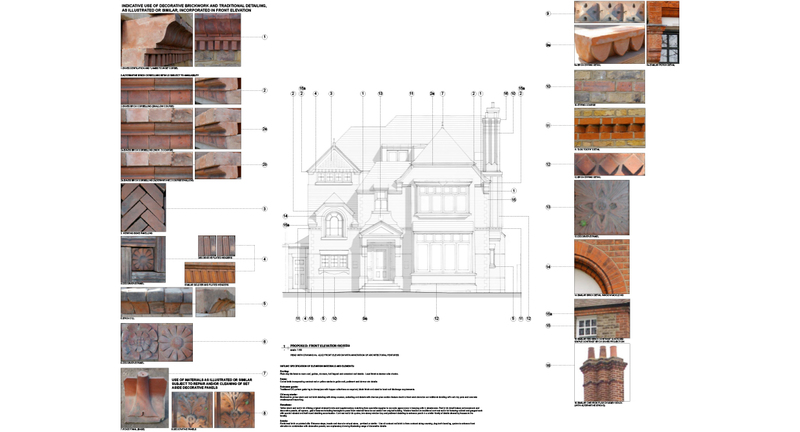 It forms part of an important group of late Arts & Crafts houses by individual architects. 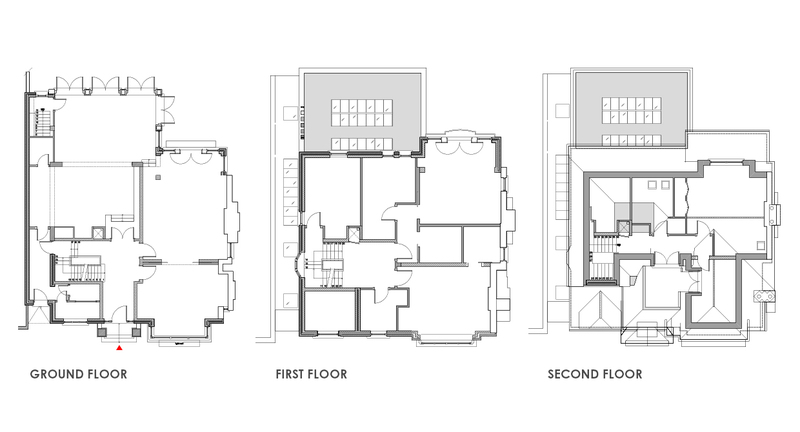 The house design incorporated cross-over classical and a period trend of Gothic detailing which is characteristic of this almost eccentric enclave of houses where the scale and architectural appearance is clearly intended as a departure from simple traditional vernacular. The elevations incorporate salvageable material in part across elevational planes and respect the heritage of the grouping. 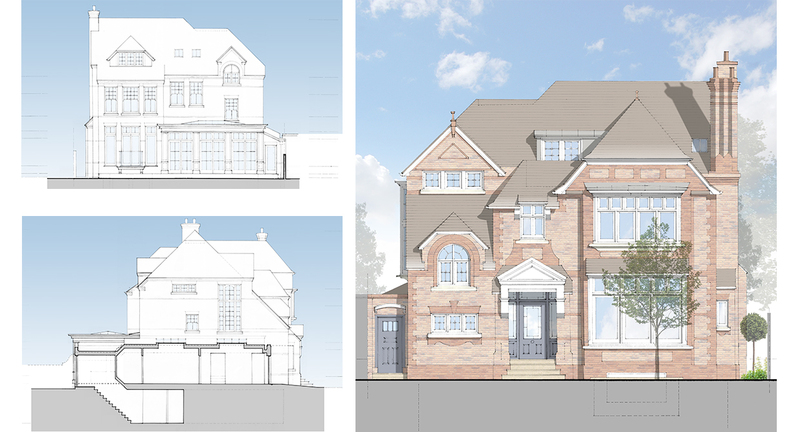 Internally creates interlinked living spaces and a large orangery are planned in suitable for grand scale entertaining and contemporary living.